We buy houses in ANY CONDITION! We pay CASH, close FAST, and you will not pay any commissions, agents, or fees. Put your address and email below and answer 5 easy questions on the next page to get a cash offer in 24 hours! Want to sell your house fast in Aina Haina, Oahu quickly, easily and privately? Or any surrounding areas on island? If so, we’d like to present you with n “As Is” all-cash offer. That’s right – we’re interested in buying your house and it’s much easier than you can imagine. We buy houses in Aina Haina, Hawaii in any condition…. yes, any condition at all. Own a distressed property? We want to relieve that burden by buying it from you. 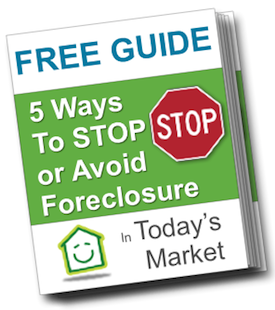 There are many types of problems you may be facing where we can step up and purchase, including (but certainly not limited to) avoiding a damaging foreclosure, stressful divorce, relocation, inheriting a property you don’t want or can’t afford to keep, own a vacant house draining your bank account every month, behind in payments or over-leveraged mortgage, owe back taxes or have liens, already moved and can’t sell your house, needs costly renovations you don’t have the money for, leaky roof or termite damage, disrespectful and late-paying tenants and more. Basically, if you have a property in Aina Haina or nearby areas (or anywhere on Oahu) and need to sell it… we’d like to make you a fair cash offer and close on it when you’re ready. Whether you own a single family house, multi-family property, townhouse or condo in Aina Haina, Niu Valley, Kuliouou or any nearby area on Oahu (or anywhere on the entire island), we’re interested in speaking with you about buying it. Let’s talk today! Do You Need To Sell Your House in Aina Haina, HI? With a happy customer. We can buy your house on Oahu, Hawaii. Contact us today! You’ve tried selling your house but keep running into roadblocks at every corner. Maybe you’ve tried selling your house yourself or listed it with an agent. No matter the method, you’re still sitting on the house or mortgage that’s either bringing you down or preventing you from achieving your real goals. We can help…. by buying your house, not listing it. Here’s the situation — listing your house with an agent may be the best course of action…. it all depends on your goal. If you’re looking to get top dollar and are ok waiting a few months or longer to get it, then you’ll probably be better off listing your house with a licensed agent. If so, ask us for some recommendations – we work with realtors and know who the top ones are. But…. if you’re in a pickle and are looking for a private, professional, ‘as is’ no-hassle option, then you probably want to look at selling your house to an investor instead — like US. You see, unlike retail buyers, we’re very serious about buying houses – it’s what we do on a day-in day-out basis. Retail buyers may nitpick about every little thing, have difficulties qualifying for traditional bank loans, fall in and out of escrow…. essentially, hold you over the fire when what you really want to do is sell your house for good and move on. You want someone who will stick with you to the end right at the closing table. In short… We buy houses in Aina Haina, nearby areas like Kuliouou, Kahala, Niu Valley, Hawaii Kai and anywhere else on Oahu…. We help property owners just like you, in all kinds of situations. From divorce, preventing foreclosure, death of a family member, tired rental property with unruly tenants, inheriting a property you can’t afford to keep or just don’t want, bankruptcy, relocation and all kinds of other situations. 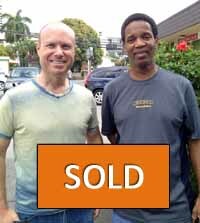 We buy houses in Aina Haina, Hawaii and surrounding areas (really, anywhere on Oahu and possibly even neighbor islands). Sometimes, those who own property simply have lives that are too busy to take the time to do all of things that typically need to be done to prepare a house to sell on the market… if that describes you, just let us know about the property you’d like to sell and sell your house fast for cash. If you prefer to talk to someone in our office before submitting your property information just give us a call today at 808-377-4379.